How many times have you heard the false claim that Israel is “the only democracy in the Middle East”? . 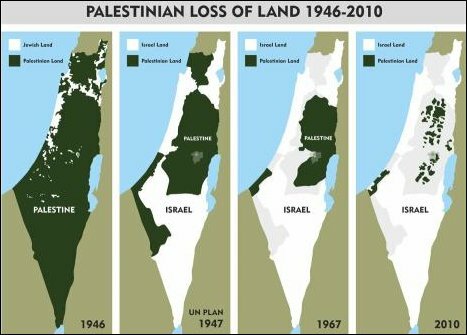 The Jews have an odd definition of “democracy,” which, judging by the graphic below, means massive land confiscation and genocide. Just think, this will be the fate of Europeans who will become a tiny minority in their former great nations once they endless waves of muds slithering out of Africa and the middle East become the majaority. The same ugly, rat-faced tribe is behind all of this shite too!!! !